In this tutorial we will look at how to make a Zen garden at home. There is nothing quite like making a Zen garden (Japanese Rock Garden) to meditate in. If you want to meditate at home, one of the best places to do it is in a zen garden. Imagine if you could step out the front door into a Zen rock garden—a beautiful Japanese rock garden where you can unwind, meditate, and ultimately feel utterly serene. If you love gardening you will get so much out of this tutorial. Not only will you love the experience of designing and making a Zen garden, but afterwards you will have a stunning spiritual space to relax in. 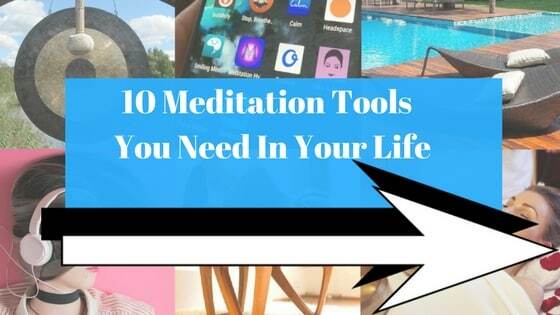 Zen rock gardens are perfect for relaxation, and many of THE DAILY MEDITATION’s readers love to create them as part of a home meditation retreat. What is a Zen Rock Garden / Japanese Rock Garden? 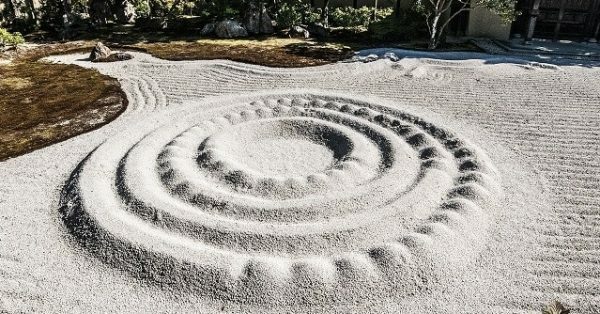 Zen garden’s are technically Japanese rock gardens. They are a Japanese style of landscaping that aims to produce the most relaxing space possible. It creates a wonderful energy, much as Feng Shui does (Read: Feng Shui Tutorial). Zen gardens are actually quite small. In fact, you can even get indoor desktop-Zen gardens (see below). The entire point of Zen meditation gardens is in the making. Seriously. If you want to know the real way how to make a Japanese rock garden, the most important thing is to use the experience for meditation and relaxation. Just like baking your fave cupcake, the beauty in Japanese Rock Gardens is making ’em. And sure, if you decide to make a Zen garden outside you can sit and meditate in it too (Read: Zen Meditation). Below we will look at how to make a Japanese rock garden. But first you might like to know about all the benefits of rock garden landscaping. When you make a Zen garden you can meditate on the raking of the sand or gravel. This is a deeply relaxing meditation. It relieves stress. The repetitive movement calms the mind, help you to find inner peace. 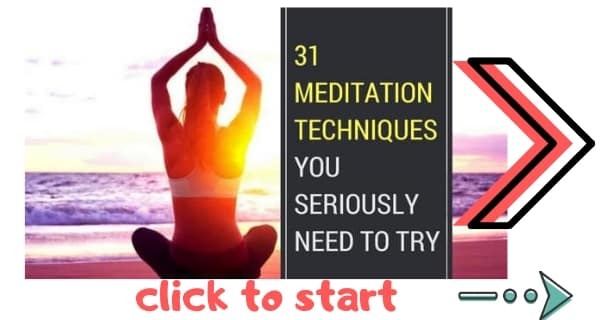 I previously shared the top 31 meditation techniques. Another fantastic meditation technique is sitting and observing a Zen garden, which is precisely what these gardens were originally designed for. One of the best ways to be happy in life is to develop an appreciation for the beauty all around us. Making a Zen garden is a really enjoyable creative experience (see our guide to yoga and meditation for creativity for more ideas). Whether you have a small desktop Zen garden or a full-size outdoor Zen rock garden, you can express your creativity as you find new patterns for the sand or gravel, and new positions for the rocks.
. It takes discipline and patience. This is especially true if you have an outdoor Zen garden made of sand—in which case the sand will move dependent on weather conditions and you will have to be diligent in maintaining the correct patterns. There’s tons of reasons to make a Zen rock garden. So how do you do it? Let’s take a look at how to make a Zen garden. A special rake. Zen rakes have dowel-like rods. These are used to make impressions in the sand. Using the rake you can smooth the sand with one side and make swirling patterns with the other. Buddha statue (take a look at my selections of the best Buddha statues to buy. They’ll look beautiful in your garden). Here are some tips on how to make a Japanese rock garden, starting with the design. Dependent on the space you have dedicated to it, your zen garden may be big or small. You can put a small Zen garden in your home to meditate on indoors. An outdoor Zen garden offers a more immerse experience, plus, you can do Zen Walking Mediation in it. Whether indoors or outdoors, your Zen garden should blend in with the rest of the space so that it looks natural. You want it to look as though your garden is flowing from the Zen garden to the rest of the garden or house. 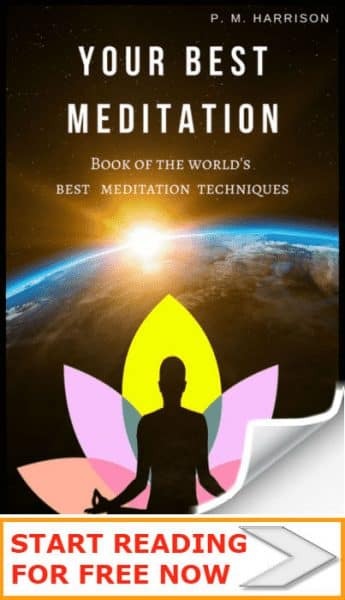 This will help you to feel a sense of oneness when you meditate on it. When it comes to making your own Zen garden, first choice is where to put the thing. So by now you’re buzzing with excitement for your new Zen garden. Whether your Zen garden is outside or inside you will want to get the space set ready for the sand and rocks. If the Zen garden is outdoors this will take plenty of work because you will need to remove the grass and dig up the dirt to create the space for the sand and rocks to go in. 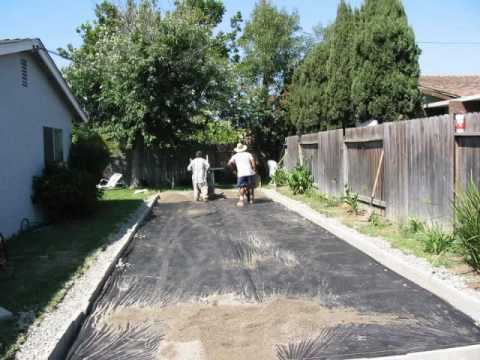 This is the same process as when you convert a grass garden to gravel in a more traditional way. Mow the lawn low. Go over it repeatedly. Cover the lawn with newspaper stacked 12 sheets high. Overlap the edges. Cover the top layer of newspapers with black landscape fabric. Add a layer of mulch over the fabric. Rake the mulch until it is evenly spread. Get rid of any large rocks around the edged. Leave for three weeks. Then spread extra gravel or sand on top. You now have the basic space filled with sand or gravel. That’s the hardest part done. The rest is fun. One of the most important parts of a Zen garden is the placement of the rocks. After all, Zen gardens do come from the tradition of Japanese Rock Gardens. The Sakuteiki text described in detail very specific ways to set the rocks. Not only that, the text said that an ill-fate would befall people who set the rocks in a Japanese rock garden incorrectly. The best-looking side of the rock should always be facing the viewer. There should be more horizontal stones than vertical stones. Do not place rocks in straight lines. Use groups one to three rocks. Use rocks of different colours, shapes and sizes. Any rock you cannot find a place for, position randomly. This adds spontaneity. Today, most people choose to use gravel instead of sand because it holds its position longer—especially in an outdoor Zen garden. This is less important with an indoor Zen garden. When raking the gravel, meditate. The process of adding the gravel is about the mind as much as the actual garden. Zen meditators use the term “Samon” and “Hokime” to describe this act of meditative raking. Use swirling patterns to represent water. When you add stones, water features and other decorative items to a Zen garden the aim is to do what Shakespeare said and “Hold a mirror up to nature”. The best options for decorations are water features, shrubs, plants, moss, and black stone. Your Zen garden will be maintained using the rake. This can be used to clear away leaves and other debris. Use the maintenance of your Japanese rock garden as an opportunity for meditation. Love your garden and enjoy its upkeep. This is a sacred spiritual space that you are designing for yourself. It should be created and maintained with love and affection. Now you know how to make a Zen garden. But you could always just buy a desktop Zen-garden. Sure, it’s great to make a Zen garden. But you don’t have the space or, you know, you just can’t really be bothered. If that’s you, cheat and buy a desktop Zen garden. Desktop Zen gardens are a much smaller Japanese Rock Garden for your office or home. With a desktop Zen garden you can take breaks while you work and meditate on the beauty of the garden. My favorite desktop Zen garden is Painspiration’s Stacking Stones Kit. And It makes for a wonderful gift for Buddhists. I love the large area zen gardens , so peaceful looking. I am going build a small one first. I have a large area to build my dream zen garden after my prototype. Thank you for the building tips! Glad you liked the tips,Curt. Hope your Zen garden turns out well.